Another yummy innovative recipe of Palak sprout kachori.added palak to the outer layer stuffed with moth sprouts, is going to be a totally healthy and tasty treat if you use airfryer or microwave. 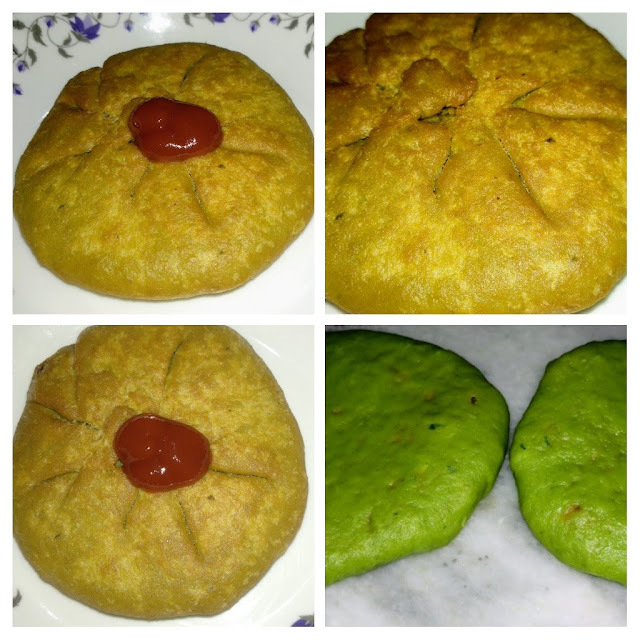 Every age group will love the taste of this kachori. So let us start. Recipe : Soak the moth for 4-5 hours. Drain the water and tie them in a cotton cloth and keep them in a casserole overnight. In the morning they will get sprouted. Wash them and boil for 2-3 minutes. Drain the water and keep aside. 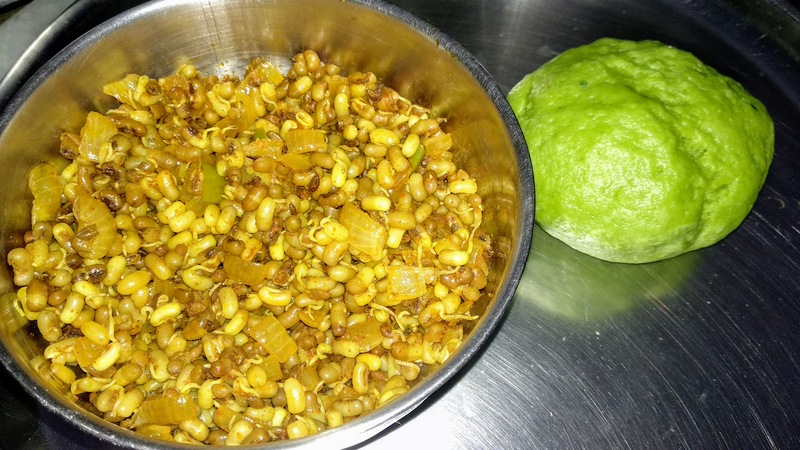 Make a smooth puree of palak in a blender. Seive the all purpose flour, add 1/4 cup ghee, salt to taste and mix well. Now knead a hard dough using the palak puree. Keep it for 1/2 an hour. Meanwhile, heat1/2 tbsp refined oil in a non-stick pan. Add onions, green chili and saute for 2-3 minutes. Add sprouts, all the spices and salt to taste and cook stirring till the mixture gets dry. Let it cool completely. Knead the dough once again. make medium balls of it. Roll a puri, fill the stuffing and cover from all the sides. Roll slightly with light hands with rolling pin. Heat oil in a pan. deep fry on low flame from both the sides till it becomes crispy and golden. 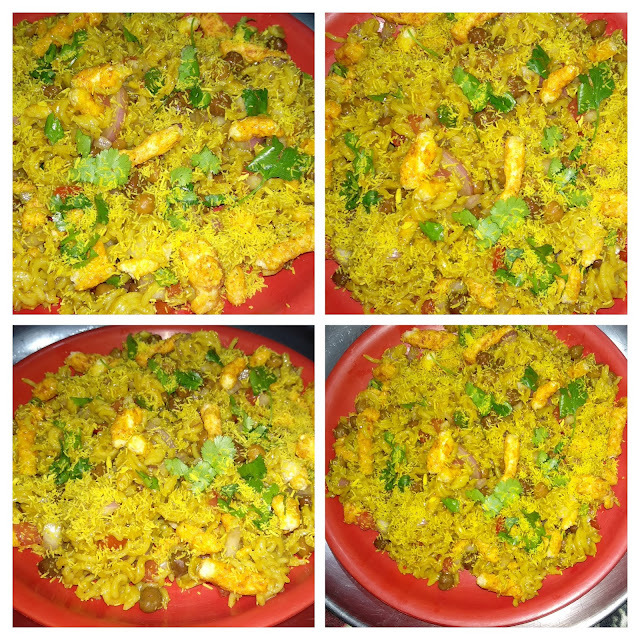 You can use air fryer or microwave for healthy option. 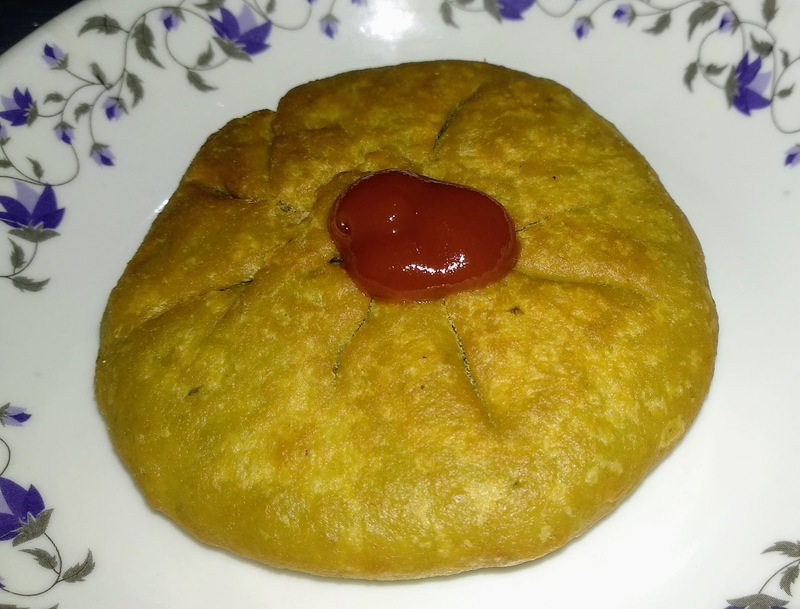 Mouth watering and healthy palak sprout kachori is ready to serve.